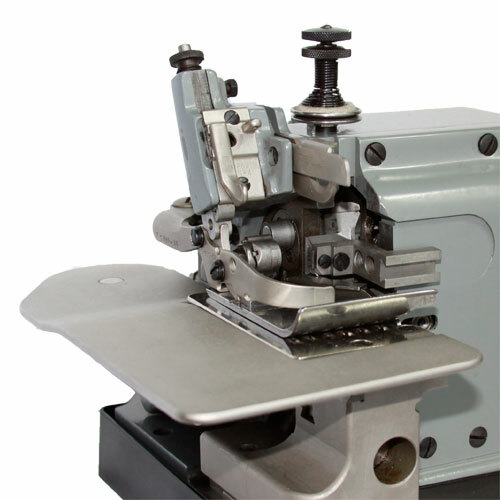 The Merrow 72-D3B-2 R industrial sewing machine produces an exceptionally strong rolled seam, engineered specifically for the end-to-end joining of loose knit and loose woven piece goods. 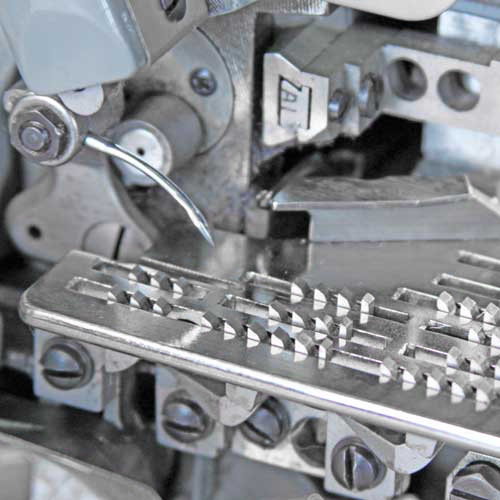 This machine is particularly effective when used with low count materials, where a traditional, flat, butted seam is not feasible. The 72-D3B-2 R incorporates an extended feed system and a specially engineered rolling device that allows the consis- tent movement of rolled material within the stitch. 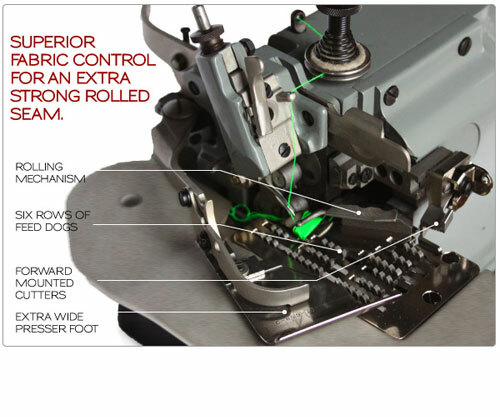 the 72-D3B-2-R has been designed from the ground up for one purpose: to seam loose materials that cannot be joined with a flat seam. 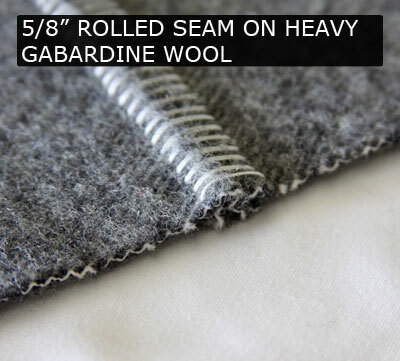 The 72-D3B-2-R will roll the material over and wrap thread around the roll. 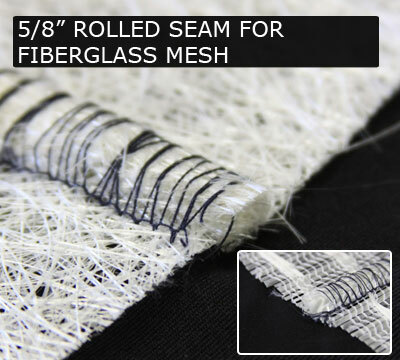 This creates a secure seam that will withstand more pressure than the fabric when pressure is applied. 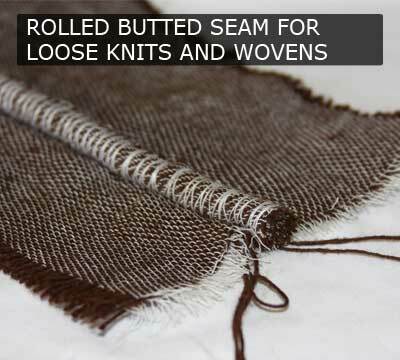 The 72-D3B-2-R is used in any operation where joining loosely woven material with a rolled seam is required. 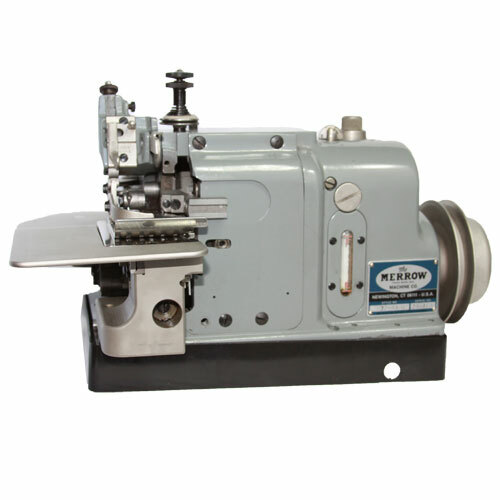 We will build out a custom machine, at no charge, and sew your material off on the 72-D3B-2 R (or other machine if appropriate). If you would like a video of the process we will provide this along with the sewn sample.